Bangalore : India's Mars Orbiter Mission's antenna is ready for the Mars Orbit Insertion with only 14 per cent of its journey to the red planet left to be covered. (MOI), ISRO said in a post on its Mars Orbiter Mission Facebook page. It said only 14 per cent of the journey remains in its heliocentric arc towards Mars Orbit Insertion. Last week, the space research organisation had said that scientists will not carry out the planned Trajectory Correction Manoeuvre (TCM) for the ambitious mission in August as the spacecraft is on track. 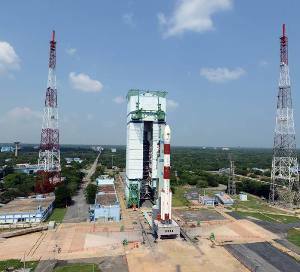 (PSLV) on November 5 last year with an aim to reach the red planet's atmosphere by September 24.